In Yokohama, there is the largest Chinatown in Japan. You may have hard to time to decide which restaurant to enter in Yokohama Chinatown even if you want to eat good gyozas and dumplings. 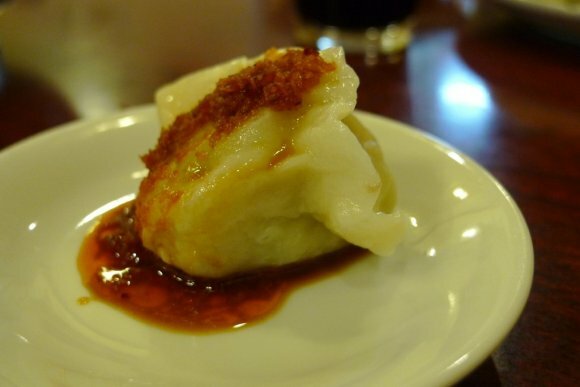 It is because there are more than 200 restaurants which serve Chinese food in this Chinatown, and most of those restaurants serve gyozas and dumplings. 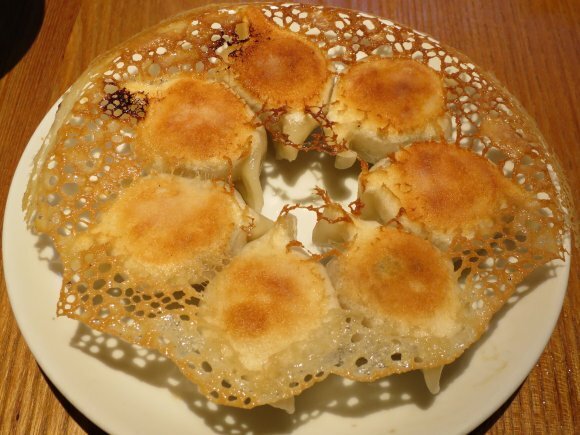 Shandong is a super popular restaurant with boiled dumplings in Yokohama Chinatown. The line of people waiting never disappears during weekends. 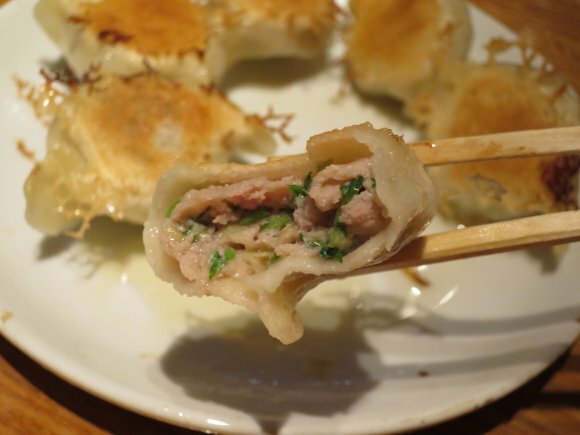 Dumpling by Shandong has juicy pork paste with nice garlic chive scent inside wrapped by chewy pancake. The paste inside is so huge that it looks swelled from outside. It is eaten with the scret recipe coconut sauce that is the Shandong style. The recommended way for eating is to make a hole on the surface outside and let coconut sauce go inside. Other menues such as “fried shrimp with black pepper” are also very tasty. 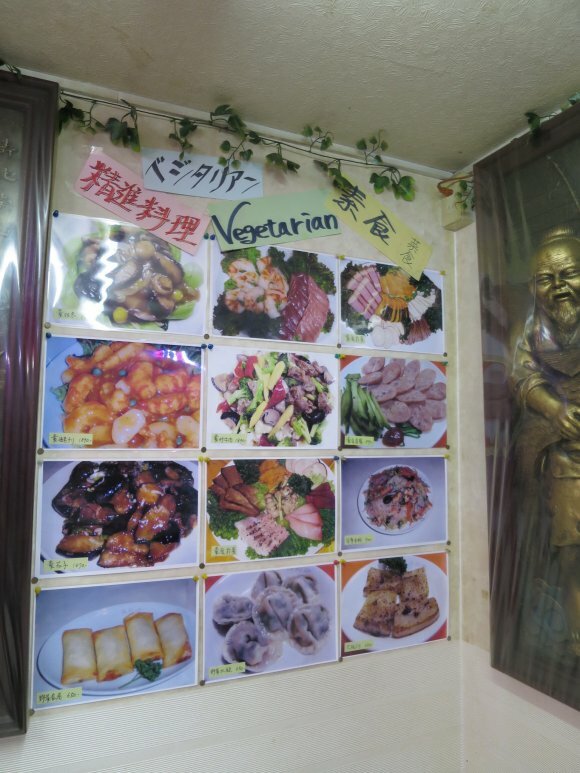 -“Ban Wa Ro”, Taiwanese cuisine restaurant recommended for vegetarians! Next, I will introduce you “Ban Wa Ro”, the Taiwanese cuisine restaurant next to the Kanteibyo. To find the restaurant, look for the yellow sign as a mark. The dumpling has the wrapper that is very pleasant to swallow. Inside it has a paste in large amount. 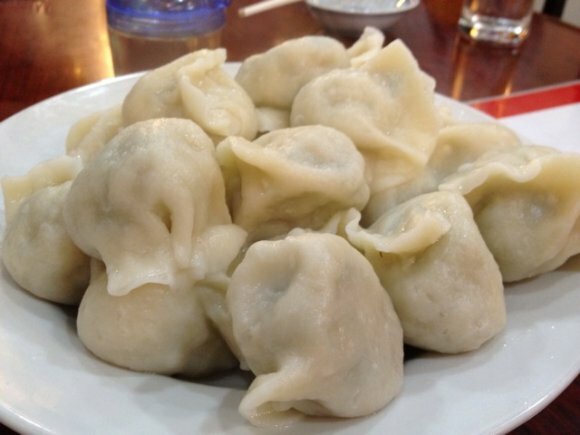 This dumpling has been the most popular dish since its foundation several decades ago. The taste of paste is not oily at all. the gyoza has simple seasoning of the dumpling which reflects the sweetness of vegetables and the natural quality of the meat. You have a lot of menues for vegetarians and it is recommended also for those who do not want to eat meat. 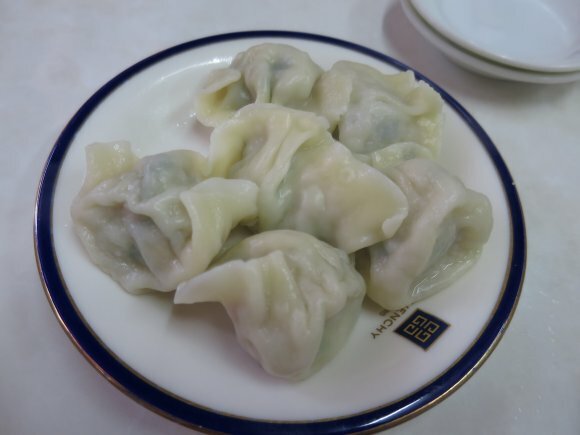 Dalian Gyoza Kichi that locates the main street of Chinatown, has a elegant storefront with high-grade feeling, but the range of the price is reasonable and it is easy to visit. My recommendation is yaki-gyozas (potstickers) with beautiful wings. It is the gyoza which you can enjoy a contrast between the crispy texture of the wing and the springy texture of the wrapper. In the wrapper, there are full of pork fillings that are very juicy. Please eat with caution since meat juice may splash out. Shiso (Perilla leaves) dumplings. Coriander dumplings are also popular among those who love coriander. There is so many Cantonese style Chinese restaurant in Yokohama Chinatown．So the restaurant that serves Chinese in the North East area, that is also where the dumpling was originated, is very rare. Amoug them, “Tohoku Jinka” is highly recommended. As it says on their restaurant name, they are specialized in the Northeastern Chinese cuisine. Their boiled dumplings are also good, but I would rather recommend their steamed dumplings. 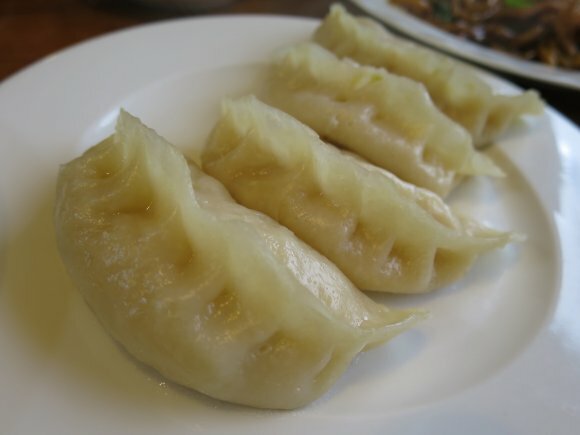 Their big-sized dumplings are made with steady wrappers which give good texture when you bite them, and they decently fills you up. The neatly sliced pickled Chinese cabbage is mixed in minced pork fillings, and their slight sourness and sweetness are distinctive. One other recommendation would be the Chinese chieves gyoza. 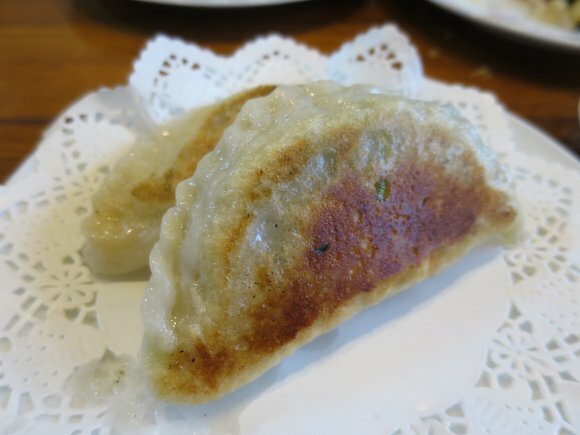 It is rather a big size pan-fried gyoza having thin skin with Chinese chieves and egg inside. Your mouth will be full of nice Chinese chieves scent at once when you eat.